Joyce Albrecht Wilcox, Director of Music, has been a church musician since the age of ten when she began accompanying the children's choir at her church. At the age of twelve she began playing the organ for services. Joyce has a BA in piano and education from Austin College, Sherman, TX, and a Masters degree in Church Music from Concordia University Wisconsin, with a concentration on organ. 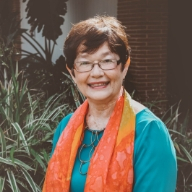 She has taught piano, theory and organ for over forty years; has been a Suzuki violin accompanist for over 35 years; was instrumental in the establishment of Montessori School of Corpus Christi; has been a member and officer of Thursday Music Club (Federated Music Clubs); has served the Symphony Guild of Corpus Christi and the Corpus Christi Chapter of American Guild of Organists as president; and participates annually in the National Seminars of the Handbell Musicians of America.